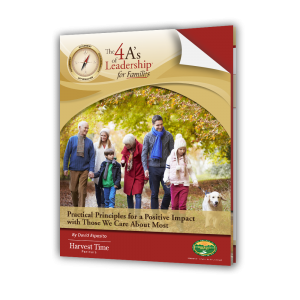 Portage, MI (August 18, 2016) — Harvest Time Partners, Inc., a rapidly growing personal and professional development company, announces that its 4 A’s of Leadership for Families program is now available for FREE from the company’s website. The 4 A’s of Leadership for Families is a proven framework for building and strengthening families in all types of environments. 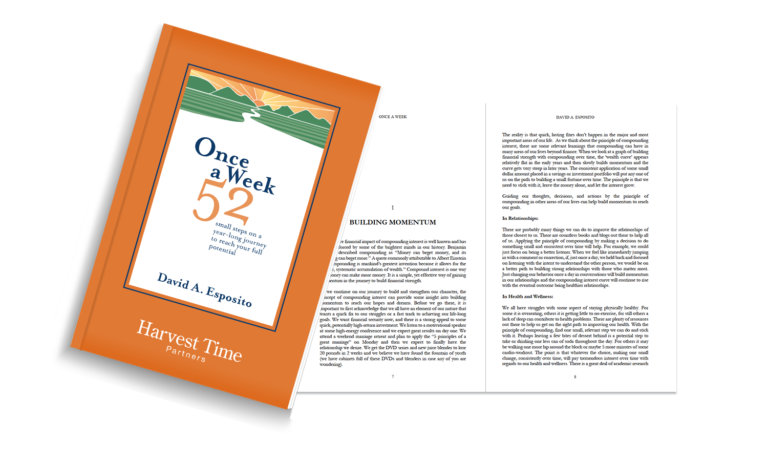 According to David Esposito, Managing Partner of Harvest Time Partners, there is no denying that our world continues to grow in complexity, intensity, and uncertainty. Despite the unprecedented pace of change we are all experiencing in our homes, businesses, and communities around the world, there is one constant truth about families that we cannot escape: A loving, safe, and secure family is critical to our overall well-being and is the foundation for a better world. The 4 A’s of Leadership for Families is a practical and simple approach to strengthen families in a world that continues to challenge the well-being of those we care about most. The program is available for FREE for download HERE.